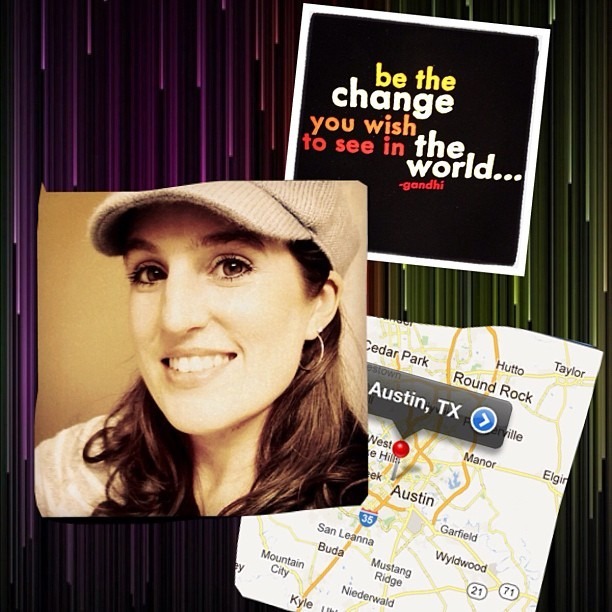 Today was the day my mama was found last year, so I shared this on Instagram today in her honor. I had a dream yesterday morning at the time she most likely died according to the coroner. At about 5am my 7 year old came in to wake me because Daddy wanted me to drive him to work and I was dreaming that my mama and I were eating burgers and fries together at a restaurant someplace. She was telling me to save the fries for the kids if I wasn’t going to eat them. She always had a “doggie bag” when she left a restaurant. She was one of the slowest eaters I ever knew. That’s probably why she lived as long as she did when all statistics said she should have checked out with Type 1 Brittle Diabetes in her late 20’s when it was discovered. It was so good to “see” her – even though it was just a dream that vanished when I awoke. I was at her house later yesterday. We manicured the lawn and fed the cat … and I found a bracelet and necklace there that I had missed when we first went through her things. It was like a present from her on the anniversary of her death. A gold heart bracelet with opals, and a heart necklace that matched it with opals… her birth stone. I also noticed a stack of blankets, and oh, the irony of how many generations that were layered in it… I noted this in the below quote block from Instagram… (and if you aren’t my friend on IG, please rectify this today! Click over here and let’s be micro-blogging buddies). Today marks one year. 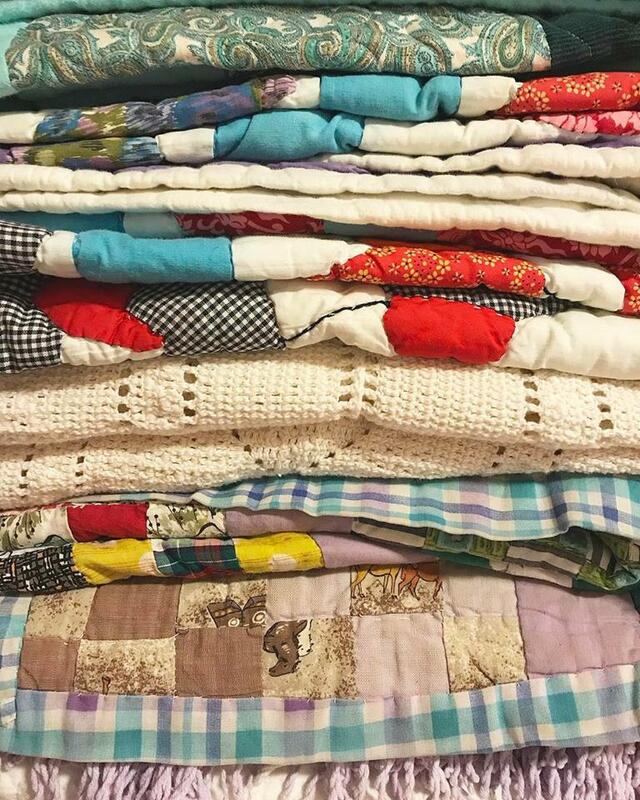 She made the quilt on the top of this stack… my grandma or great grandma made the one near the bottom… and the stack keeps growing… each generation adding their stitch-work to the next. Those tender memories are the stuff of forever: Love is the thread that binds.